Last modified on June 19th, 2018 by Vincy. In many eCommerce software applications, we can see the feature for zooming product preview image. The zooming feature will help the shopping cart user to have a better view with more closer. Generally, this zooming feature will be provided on the product view page. The shopping cart product gallery will have a control to view more detail with a product page. In the product view page, it shows product’s enlarged/featured image preview with more product detail. I have enabled zooming on hovering the product featured image. In a simple PHP shopping cart example, we practiced enough to show product gallery from the database. In this example, I have given a view more link to go to the product view page from the gallery. 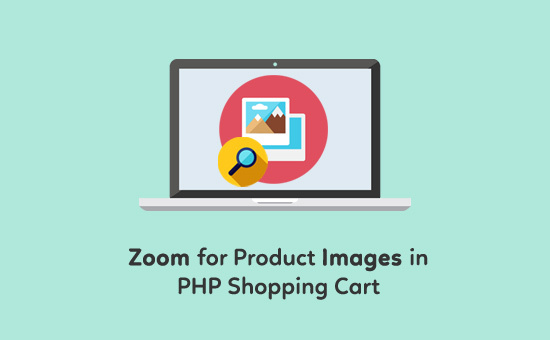 I have used the xZoom plugin to add zooming feature with the shopping cart product preview. I have set the default zooming options in the xZoom initialization process. I have called the library function with the reference of the product preview element selector. 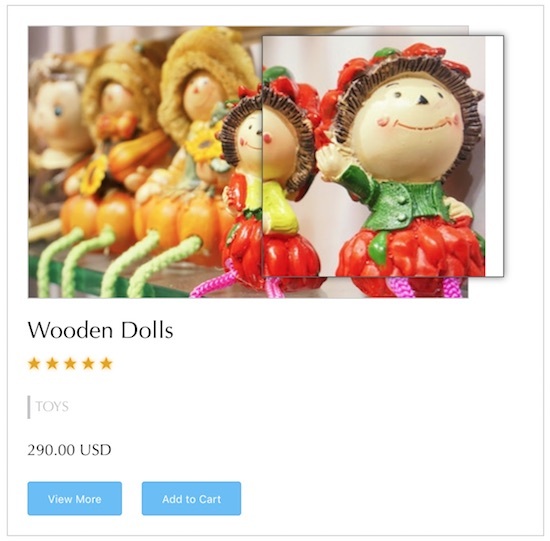 In this section, I have shown the HTML code used for displaying the product gallery and the product view page for a shopping cart. In the product gallery, each product tile has a view more link to redirect the user to the view page. On clicking this link, the product detail with the preview image will be displayed on the same window by replacing the gallery content. <img id="image<?php echo $key+1; ?>"
On clicking the View More button on the shopping cart product tile, the particular product id is passed to the PHP via AJAX. The AJAX callback will receive the server response to display the product view page content in the browser. In the product view page, the product preview image element is specified with the preview source and the original image source URL. The image source URL is used in the zoomed-in view. <img src="<?php echo $query["product_image"] ; ?>"
This screenshot shows the zoomed-in effect on the shopping cart product preview image in the view page.